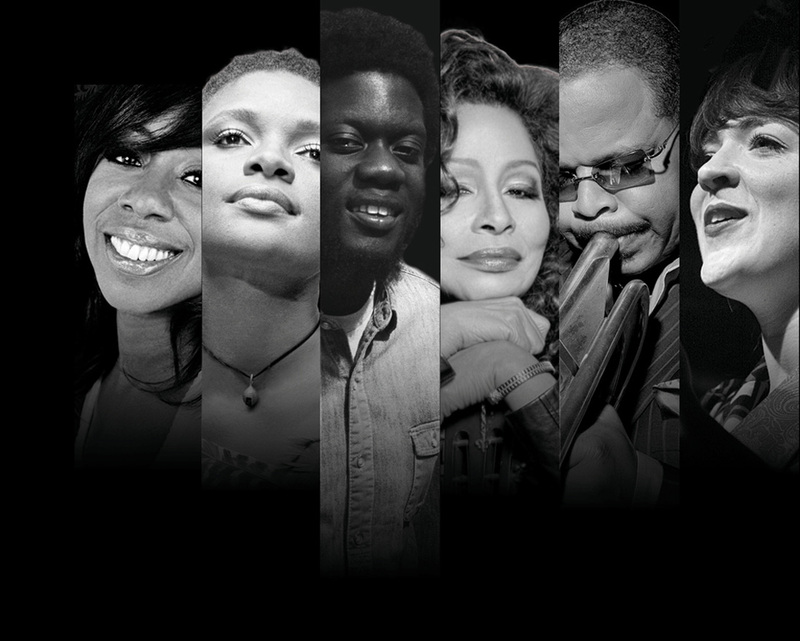 Becca Stevens, Chaka Khan, Lizz Wright, Michael Kiwanuka, Oleta Adams (vocals); Melvin Butler, Myron Waldon (saxophone, woodwind); Terence Blanchard (trumpet); Kevin Breit, Marvin Sewell (guitar); Jon Cowherd (piano, keyboards); Chris Thomas (bass); Brian Blade (drums); Jeff Haynes (percussion). Joni’s Jazz is a unique concert tribute to singer-songwriter Joni Mitchell, focusing on her innovative jazz-influenced music from the 1970s albums Court And Spark, The Hissing Of Summer Lawns, Hejira, Don Juan’s Reckless Daughter, and Mingus, while also showcasing other work. In 1999, producer Danny Kapilian was asked to produce a New York concert to celebrate Canada Day. That first Joni’s Jazz performance celebrated the music featured on Joni's 1979 Mingus tour. In 2011 a new edition of Joni's Jazz was presented in Los Angeles. Brian Blade, Mitchell’s drummer since the mid-90s was co-music director with his longtime colleague, pianist Jon Cowherd. In 2013, they co-directed another concert featuring a broader range of Joni's music in Toronto to honour Mitchell’s 70th birthday. At this year’s festival, they are creating one more new presentation of Joni's Jazz for the European premiere. Vocalists Lizz Wright, Oleta Adams, Chaka Khan, Becca Stevens and Michael Kiwanuka, as well as trumpeter Terence Blanchard, will be special guests.